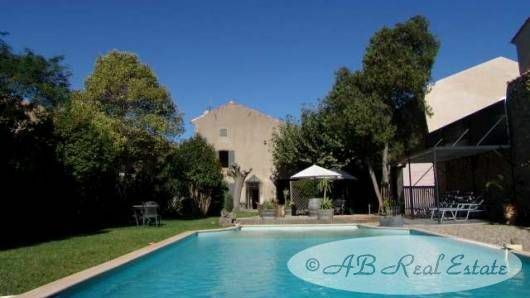 fully restored, 4 en-suite bedrooms, lovely pool on pleasant large garden, convertible space, B&B or Gîte possible, further 445.5m² of constructible attached land for sale, quiet whilst walking distance to shops. Plenty of character and warmth emanating from this 18th century Maison de Maître with its most pleasant garden and grounds – completely private - set in a quiet side street in a much sought after village. A visit will not disappoint you! Possibility to buy an attached plot of constructible land of 543m² to simply enlarge the garden or to build an independant house.